On a global level, we have been efficiently meeting product demands of Refineries, Petrochemicals, Fertilizers, Pharmaceuticals, Paper & Pulp Industries etc. We have installed the latest technologies for product development and quality testing, to ensure our customers rely on us repeatedly. Thickness 0.5 mm to 7.0 mm. Thickness 1.65 to 10 mm. (b) As Per ASTM A-778 / 409 & A-358 CL-I, II, III, IV & V.
Thickness 3.0 mm to 45.0 mm. a)6 mm to 114.30 mm OD â€“ Thickness 0.70 mm to 8.50 mm. Stainless Steel, as an alloy is finding its increasing usage in fields where hitherto materials such as mild steel, on-ferrous metals, wood, ceramic and plastic were used. However because of the unique metallurgical properties of stainless steel such as corrosion resistance, strength to weight ratio and minimum maintenance cost etc, the usage of stainless steel in piping for as a viable alternative is also gaining rapid acceptance. As a result stainless steel now a days has come to be used in umpteen number of non-conventional areas as mentioned below, apart from its conventional usage in Oil and Refinery, Petro-Chem & Chemical Sectors. 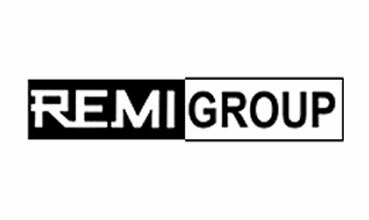 REMI, ever since its inception has remained focused to meet the S.S.Piping demands of the industry by creating the most efficient and quality based facilities and upgrading these facilities from time to time. REMI's S.S.TIG Welded Pipe have a varied usage in Process Plants, Food & Diary , Pharmaceuticals, Fertilizers, Infrastructures, Architectural, Decorative and Automobile Industries. REMI have created separate divisions in their plant at Tarapur to manufacture Stainless Steel Welded tubes to meet the critical needs of the Thermal & Nuclear power industries for tubes for condenser, low and high pressure heaters application. Similarly the critical needs of seawater based industries like desalination plants and corrosive chemical plants for tubes of higher alloys and ferritic/austenitic grades are also kept in view. REMIâ€™s specialty tube division consists of German make state of the art welding lines complete with all online operations like bright annealing and eddy current testing. The division also has other offline operations like â€œU?bending, heat-treatment of â€œU?bends, pneumatic testing. The two mills have an installed capacity of 23,75,000 mtrs per annum. â–º Lengths upto 30 meters. Other equivalent International Standards such as ISO, DIN, JIS etc. are also adapted on request. With thrust in activities of Oil and Gas exploration in India as well as round the globe and with similar spurt in Refining and Petro-chemical sectors, the need particularly for stainless steel piping has never before been felt so severely. REMI,ever since its inception has remained focused to meet the S.S.Piping demands of the industry by creating the most efficient and quality based facilities and upgrading these facilities from time to time. REMIâ€™s Large Diameter Pipe division have a complete range of equipments starting from Forming Press, Inside and Outside welding system,Heat treatment and Testing facilities. Types of welding performed are : Tungstone Insert Gas (TIG) Inside & Outside,Plasma Welding Inside & Outside ( without filler metal up to 10 mm) and Submerged Arc Welding (SAW) Outside. The cold finish stainless steel tubes account for substantial portion of the total Tube-Pipe production the world over. This is because the service conditions under which these cold finish stainless steel tubes are expected to perform are very critical in terms of temperature,pressure and corrosion and the areas of their application are many in the Oil and Petro- chemical industries.REMI has established product range to meet the requirement of this segment of the industry. REMIâ€™s Cold Finishing division has a number of Tubemills/Draw benches and Pilger mills,heat treatment,U bending and testing facility to manufacture high quality welded and seamless cold finish tubes to International standards.The cold finishing set up covers a range of grades in ferritic, martensitic and Duplex in addition to austentic stainless steel. Raw material (mother pipes) for seamless tubes is sourced from reputed international manufacturers as per REMIâ€™s stringent and customised raw material specification. â–º Extra long lengths up to 30 meters. â–ºRemi Steel Instrumentation tubes â–º Availability of all testings equipments in-house. Give us a call today to get all the information, +91-9819591024, If you're looking to buy or sell Remi Steel Pipes (Remi Group), we can help., call to our Distributor in India or mail us to info@neelconsteel.com for instant free quote of Remi Steel Pipes (Remi Group). Neelcon Steel Wholesale Various High Quality Remi Steel Pipes (Remi Group) in all shapes and sizes and with any specifications that the clients, More then 1500 Worldwide.